It's official, Manchester United have finally been defeated for the first time in the Premier League under Ole Gunner Solskjaer. The loss came at the hands of Arsenal, with the Gunners posting a 2-0 victory to move above their visitors into fourth - just one point behind cross-city rivals Tottenham. 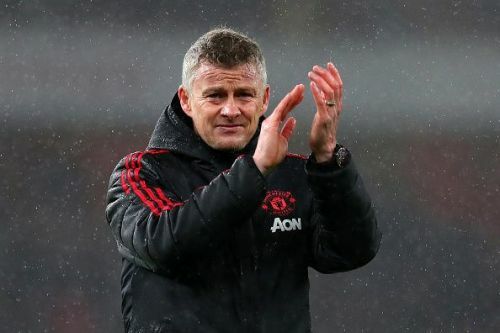 Manchester United have seen an upturn in their fortunes since the appointment of Soskjaer and had been unbeaten in 13 matches under the Norwegian, with previously rejected players being the cornerstone upon which their resurgence has been built. Indeed, such has been United's form under the 46-year-old that if the league campaign started when he took assumption of the role, United would have been the only undefeated team in the league (prior to the Arsenal match) and occupied top spot on the Premier League standings as well. The defeat, while not entirely fatal to the Red Devils' hopes for a top four finish does halt their momentum, and they would do well to bounce back as quickly as possible in light of the intense competition they face. Manchester United came into the match fresh off the back of a morale-boosting 3-1 victory over PSG in the UCL round-of-16 and were very much the form team in comparison to their hosts who lost by the same scoreline to Rennes in the round-of-16 Europa League clash in the same country. An early chance fashioned for Romelu Lukaku (who could only head against the post when he should have done better) sent the statement of intent for victory by United, but this was to be a recurring trend for the duration of the match. For all their large periods of dominance in the game, the Red Devils failed to turn their control into goals, as they were rather profligate, with Romelu Lukaku and Marcus Rashford being the chief culprits. Manchester United had a total of 11 shots, with only four of those being on target (none found the back of the net), which was rather disappointing considering the gains made in recent months under Solskjaer. 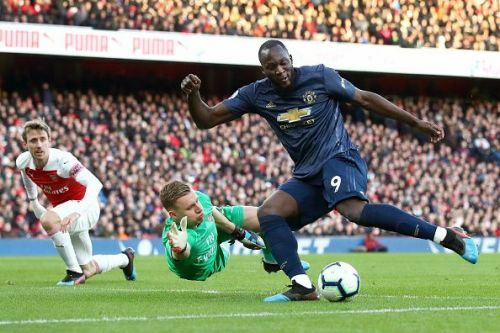 The Red Devils have earned a reputation of being clinical in front of goal since Solksjaer took over (scoring three from their four shots on target against PSG), but on the day, their scoring boots deserted them and this proved costly in the defeat to Arsenal.